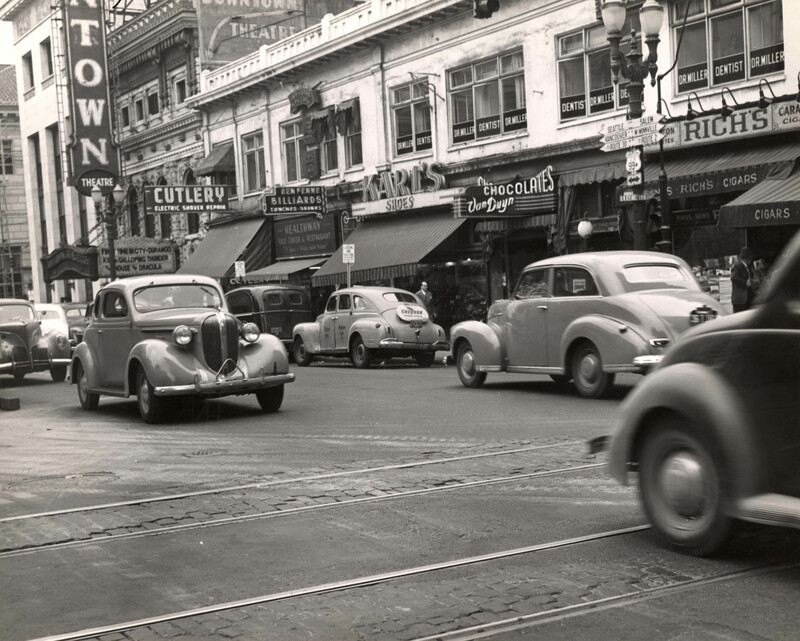 This 1946 photo looks north on SW 4th Avenue through Oak Street, the first intersection visible. The east side of the street is pretty intact today, while the west side is completely different north of Oak. The 1883 Sinnott House at NW 3rd & Couch can be seen in the far distance. 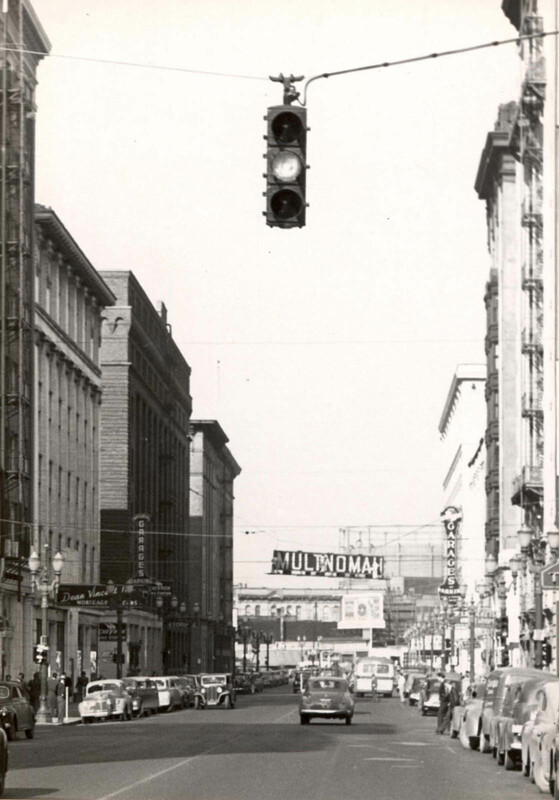 Shoppers and local office workers walk south on SW 6th Avenue from Morrison to Yamhill Street in this 1952 photo. The parking lot would have been brand new, having just replaced the Portland Hotel on this block. 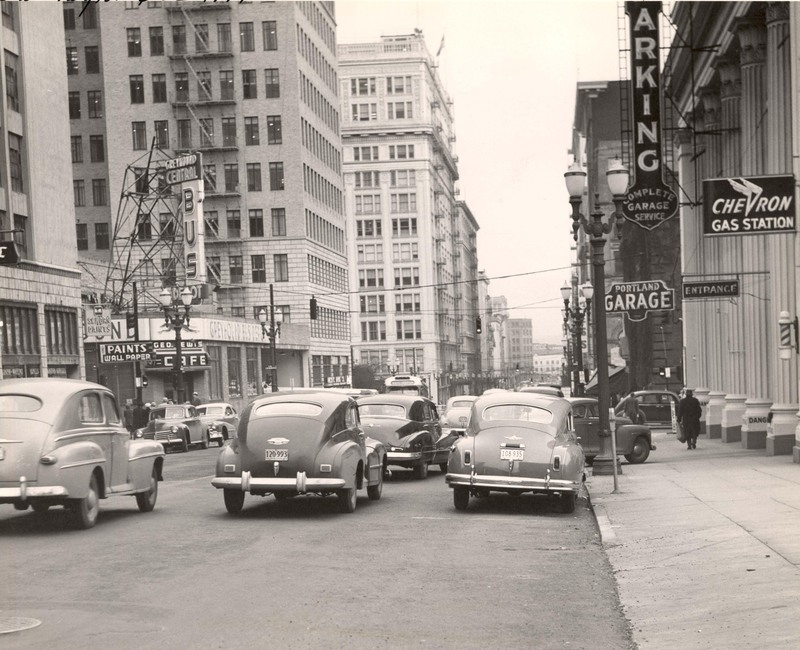 This is a nicely detailed photo from 1946 looking north on SW 6th Avenue from Washington Street. Lots of terrific signage in this shot, including the highway directional signs. The only thing left standing today is that tiny sliver of a building seen to the far left edge. 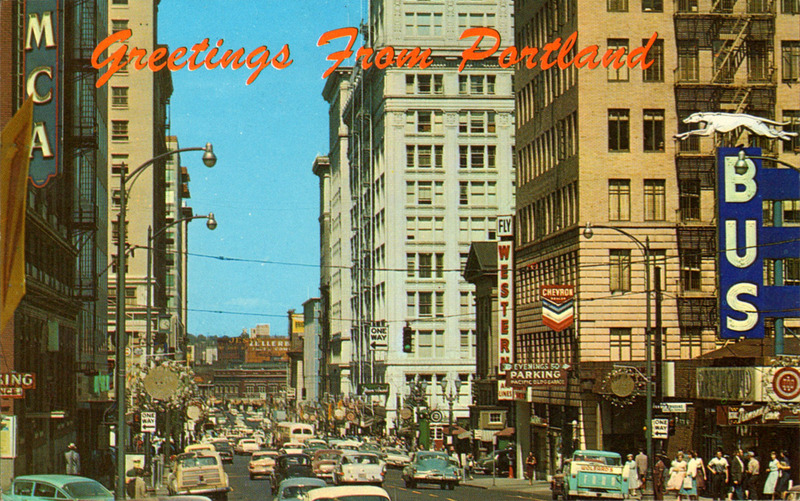 This bright, full-color postcard looks north on SW 6th Avenue with SW Taylor as the cross street. A lack of sidewalk-planted trees gives a clear view well past Burnside. Thanks to VP fan Ryan for sending this in. 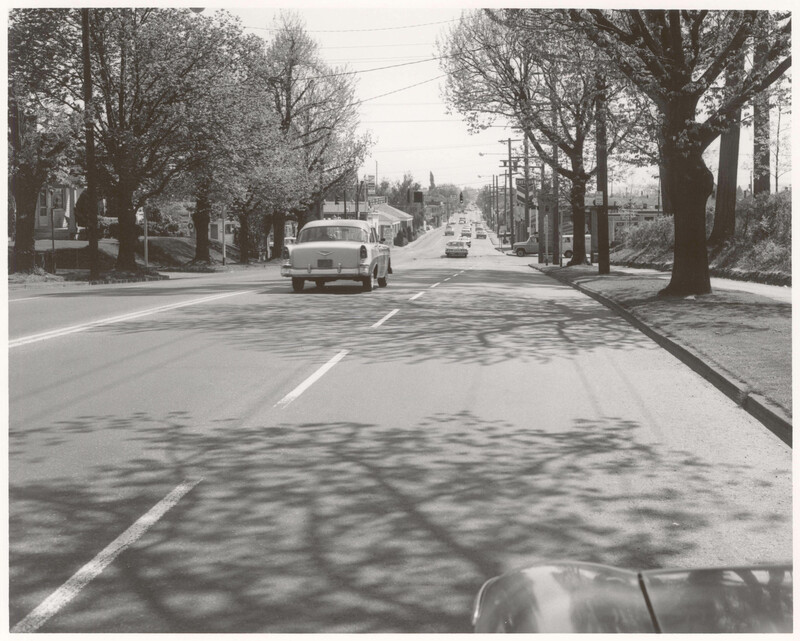 This stretch of SW 5th Avenue from Salmon Street toward Taylor has changed considerably over the years. 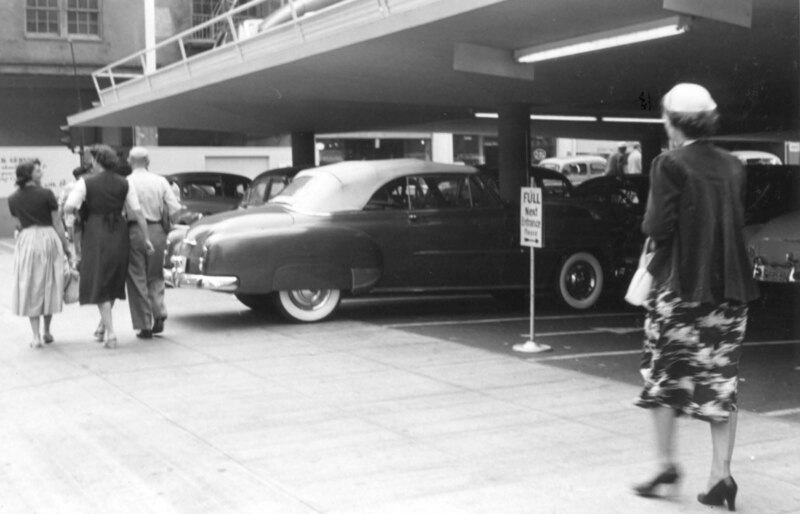 The grandly columned Portland Garage is now the site of the Standard Insurance Center. The building partially visible to our immediate left still stands, built in 1927 and since remodeled. The Greyhound Bus Depot across Taylor is a distant memory. 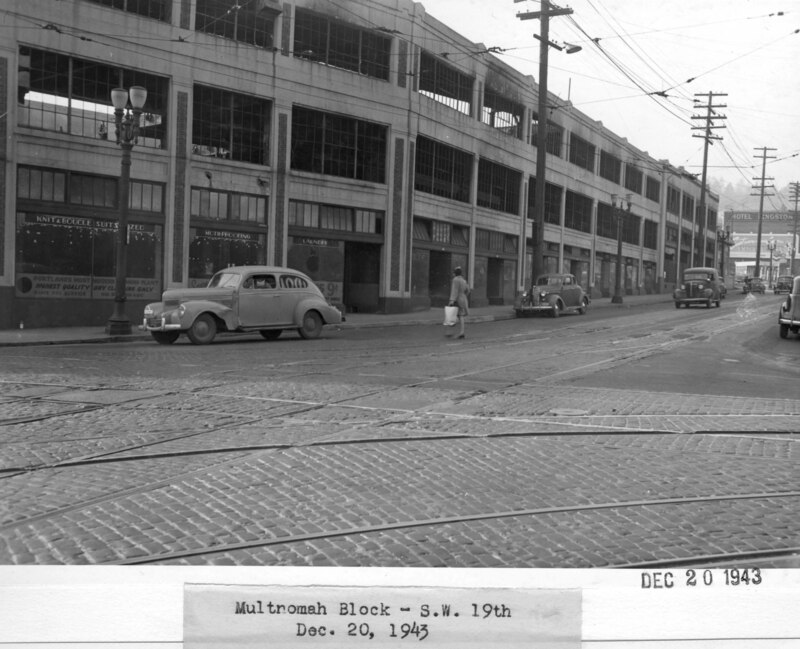 We had previously seen the Multnomah Block from the other side, along SW Morrison Street, after the building suffered a 1941 fire. This photo, taken the same day, is of the opposite side. We look west on Burnside from NW 19th Ave. The Kingston Hotel is visible in the distance. This pretty little scene on SE 39th Avenue serves to remind us that Spring does eventually get to Portland. The 1965 view is looking south from just north of SE Oak Ct.